iCloud serves many purposes these days. (I’d actually say it tries to do too much, but that’s another story.) One of its main functions is document storage for the iWork suite (Pages, Numbers and Keynote) and other apps. The problem with using iCloud for document storage is that it’s a black hole: Once you save a document to iCloud, you can only access it again with the same app, or its sibling, in OS X or iOS. If you have a problem with one of those iCloud apps—it won’t launch, say, or an update broke it—you may not be able to access your files at all. Fortunately, there are other ways to access iCloud documents on your Mac. As long as you have the Documents & Data option checked in the iCloud pane of System Preferences, iCloud copies all the documents stored in your iCloud account to your Mac, so you can work with them offline. If you ever need to access such files, there are several ways to do so. 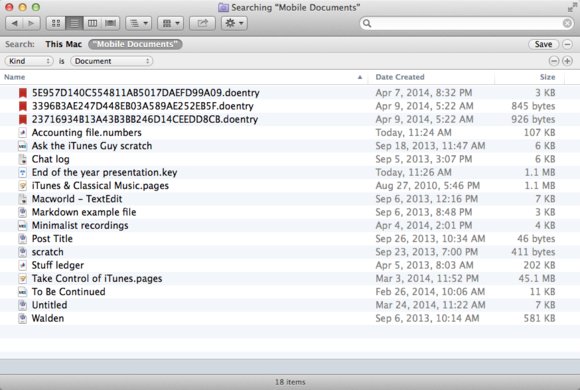 In the Mobile Documents folder, you'll see subfolders for all your apps that store files or data to iCloud. If you need to access a file, look for a folder with the name of the app that saved it. Some are obvious: For example, the folder /com~apple~Pages contains Pages documents; ./com~apple~TextEdit holds your TextEdit files. Other folders have seemingly random characters an the beginnings of their names, but app names at the end. An easy way to see all your files in the Finder is to do a search from the Finder’s search field. When you’re in the Mobile Documents folder, just type a period in that field, and the Finder will find all documents with dots, or file extensions. (Make sure Mobile Documents is selected, rather than This Mac, in the Search bar.) Next, click the add (+) button below the search field, then choose Kind is Document; this will weed out a lot of settings files. Then delete the dot in the search field, and you’ll see all of your iCloud documents, from all of your apps, even if they don’t have extensions. Click Save to save this search as a smart folder; you can then put it in the Finder sidebar to have one-click access to all your iCloud files. 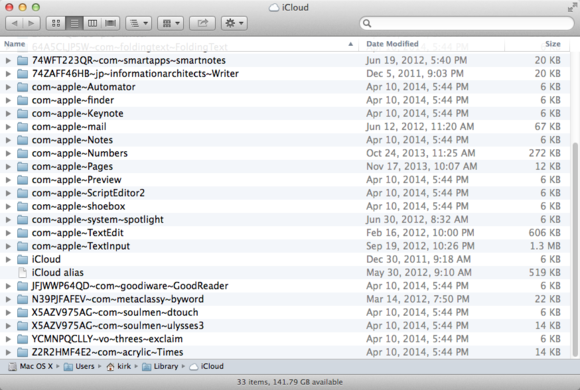 With a saved search, you can easily see all the documents stored in your slice of iCloud. I should also note that you can add files to iCloud by dragging them into these folders. So if you have a .txt or .rtf file you want to be available to TextEdit, just find that app’s iCloud folder in the Finder, and drag the file you want there. It will be synced via iCloud, and you can access it from any Mac, if you’re signed in with the same account. This is a bit quicker than opening the file in TextEdit and moving it (File > Move To). Since iCloud files are stored locally on your Mac, several third-party apps let you browse these files, in a more user-friendly manner than using the Finder. 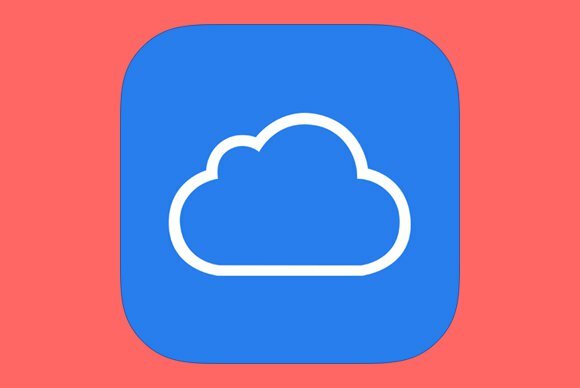 The free Plain Cloud is a simple app that displays a list of apps for which you have items in iCloud. 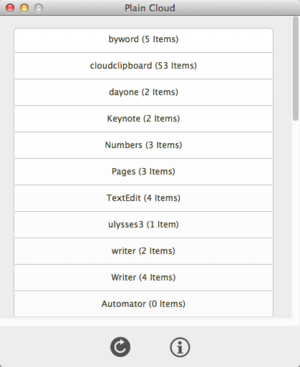 Click on an app name, and Plain Cloud opens a Finder window with that app’s items. It can be a bit confusing, since Plain Cloud lists all apps that store stuff in iCloud, not just those with documents that you can access. But if you’re looking for a specific app’s files, they’re just a click away. Plain Cloud offers a bare-bones way to access your cloud-stored files. None of these file-management methods should replace the way you usually work with documents in iCloud-enabled apps: you should still save your files the same way. But they do offer an alternative way to access your files, when you need it.